Are Unicorns real? 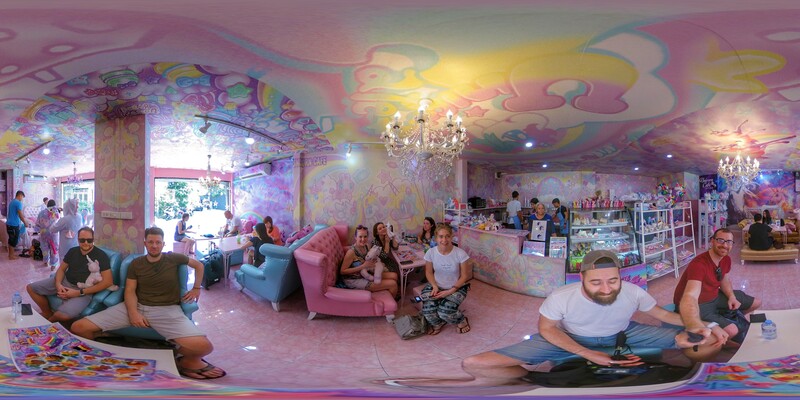 Well for most they are a thing of dreams but this place certainly is real – Yep a pink cafe entirely dedicated to the mythical beasts. Well what can I say, I never thought I would wind up in a place like this. Its completely covered in pastel colours and unicorns from floor to ceiling, it’s like a unicorn bomb has been set off. How did I get here? Well I was traveling with a great bunch of friends of which half were ladies that all wanted to visit this ‘magical’ place. While of course they loved every minute of being here the other half of the group, the lads, were bored rigid and were just waiting for the ‘magical’ experience to be over. The lads did perk up when some food arrived, it may only of been a bowl of cheesy chips, but they were good. The drinks had some unexpected flavours served in some interesting shaped glasses. 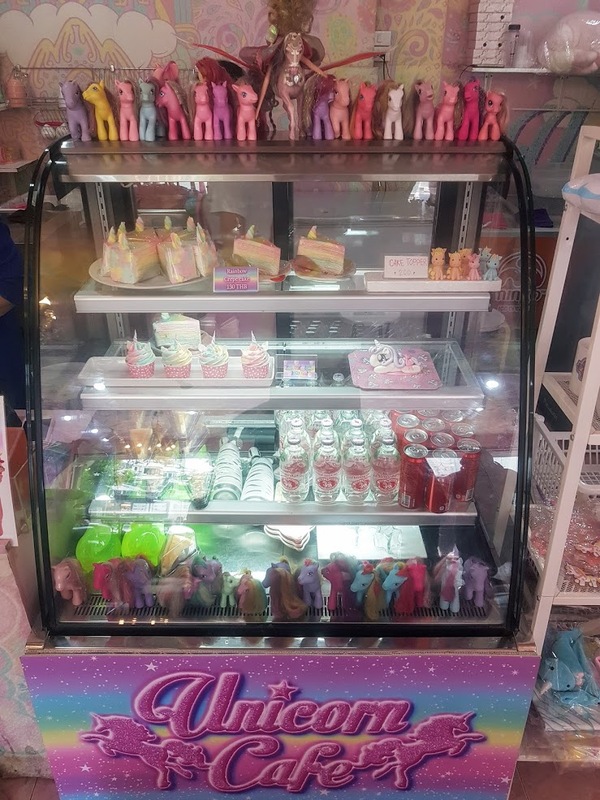 The menu was all unicorn themed, rainbow-coloured spaghetti carbonara, unicorn horns stuffed with bacon and mozzarella, and a unicorn burger with a horn. Most of the menu was lots of sweet stuff. basically if you order food just expect it to be colourful and have a horn shoved in it. If your into unicorns and I know a lot of people are, then you’ll no doubt love this place. They even have unicorn onesies you can try on to really look the part for your selfie photo. Tuesday – Sunday, 12:00 – 20:00. We jumped in a couple of tuk tuks that took us straight to the door. Get £3 ($5) credit for your first Uber ride here. Open Tuesday – Sunday, 12:00 – 20:00. 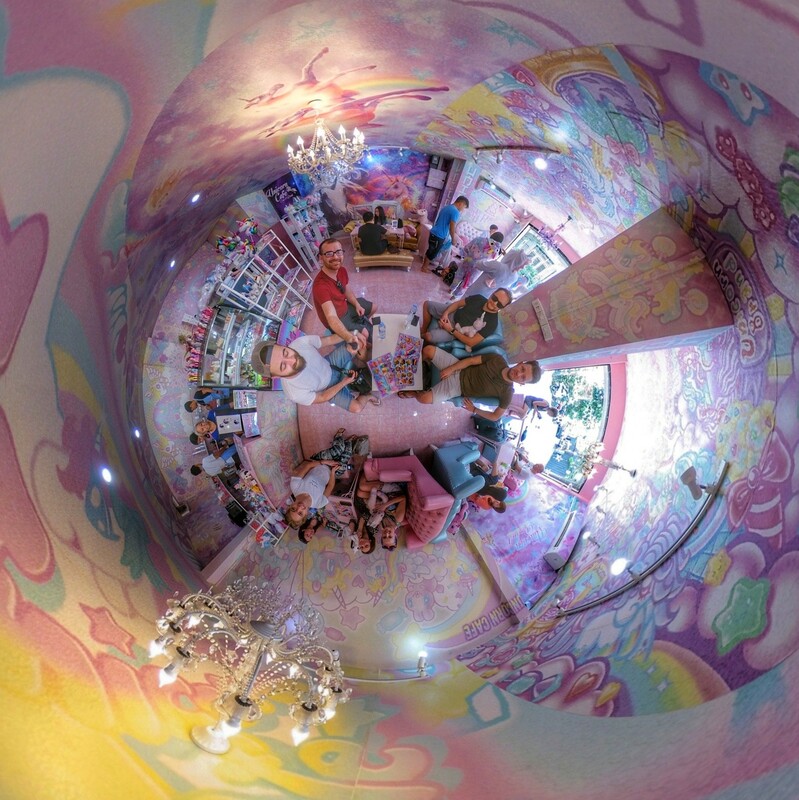 Have you been to the Unicorn Cafe? What did you think?